Lining up for rides with a year old non walking baby. In the days of no quiet times at WDW now and with time between reserved FP's to use up how do people cope with long lines and a heavy non walking almost year old to carry whilst queuing? My daughter and family want to take a trip with their three year old and their baby who will be one, and me! My son in law is not a Disney fan and not exactly a robust or positive person. My daughter is the total opposite and adores Disney and has wonderful childhood memories. We had a bit of a tricky Disneyland Paris trip in 2017 because my son in law disliked the intensity of the experience when they only had their little girl who was walking and talking, but my daughter and I loved it. Now later on this year my daughter wants to attempt Florida! You can't take the buggy in the lines, the son in law claims that a sling front or back hurts him, and the baby won't be walking, and will be heavy. Rider swap doesn't apply. Have I missed a solution to this? We all tiptoe around my son in law a bit to stop him becoming grumpy, and he definitely wants to come on the trip despite finding Disney boring and stressful! I keep reading in here that there are no quiet times at WDW. However when I was there 13th to 27th September last year it was quiet, so much so that I cancelled a lot of fast passes because I didn't need them due to the stand by queues being so short. That’s interesting to know, sadly on this occasion we can’t go until late October to mid November due to numerous work commitments and that could clash with the insanity of the forthcoming Star Wars Land opening but its then or nothing. We will just have to make the best of it. Rome and Greek Islands Cruise & Athens. 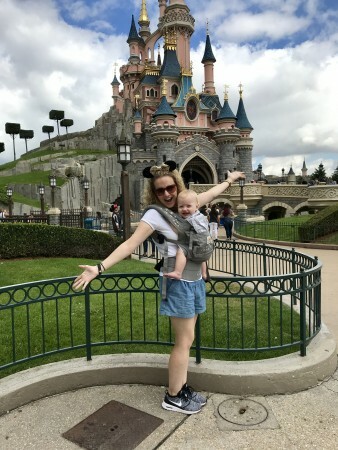 Great news you are going to look into alternate slings, we love our ErgoBaby 360... it came in super handy when we visited DLP last year with our LB who was 9 months at the time and also not walking. This carrier can be worn both on your front and on your back, it’s not recommended to carry babies in a sling forward-facing for long periods of time so this one works perfectly to avoid that! Well your baby certainly looks happy. We have found a sling clinic fairly soon so that’s a start.